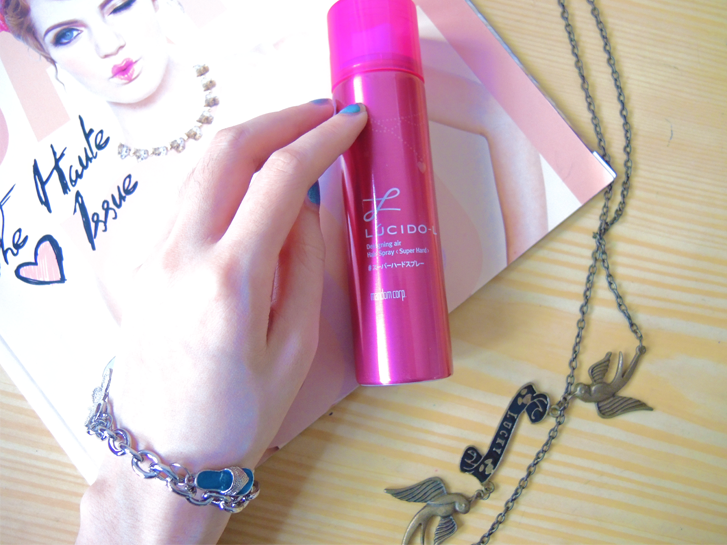 Lucido-L Designing Hairspray (Super Hold) promises to have strong holding power and arrangement power, with no stiffness even on a humid day. Does it really? I use quite a lot of hairspray a few years ago for dance performances, so I have high expectations on the holding power. Let's go test it out after a selfie! 1. Shake gently before use. 2. 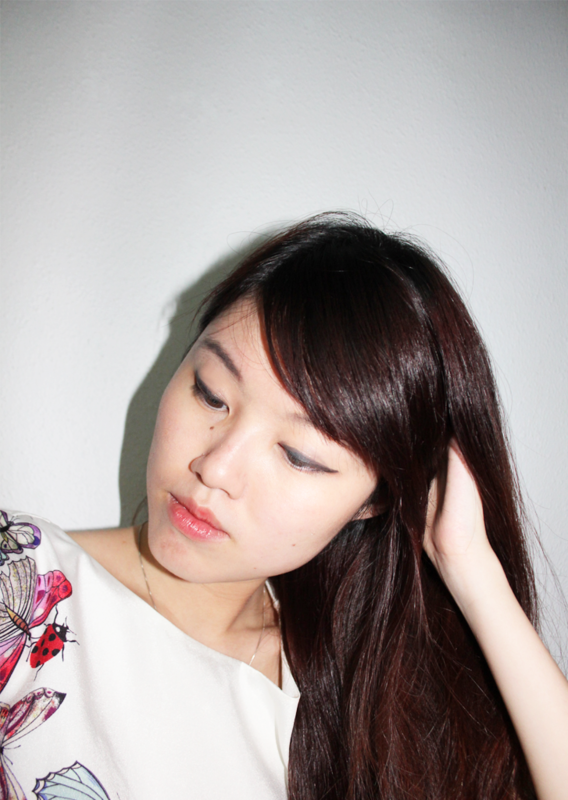 After styling, spray lightly from a distance of 10-15cm from hair. 3. Keeps styled hair in place firmly with no stiffness. 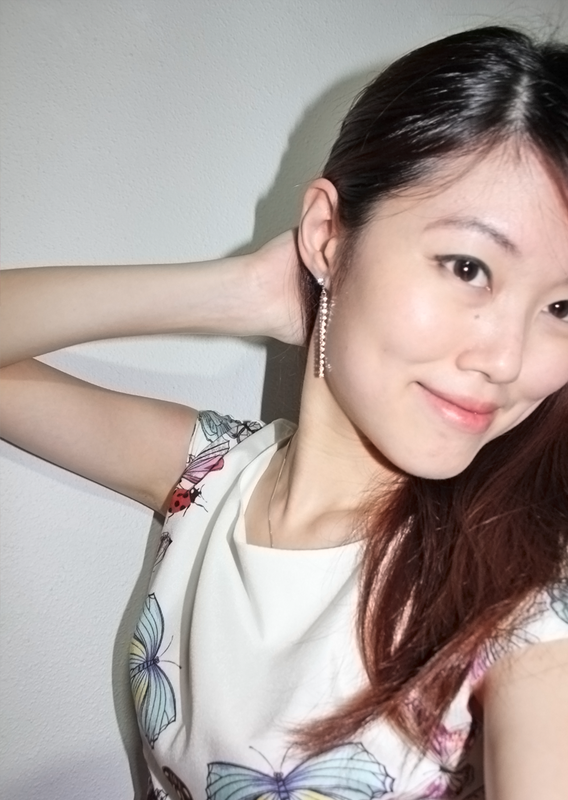 I am not very good with hairstyles so I shall just see its functionality in one of my common and easiest 1-minute sideswept hairstyles for a slightly more glamorous look and also allow my earrings to have a bit more airtime. 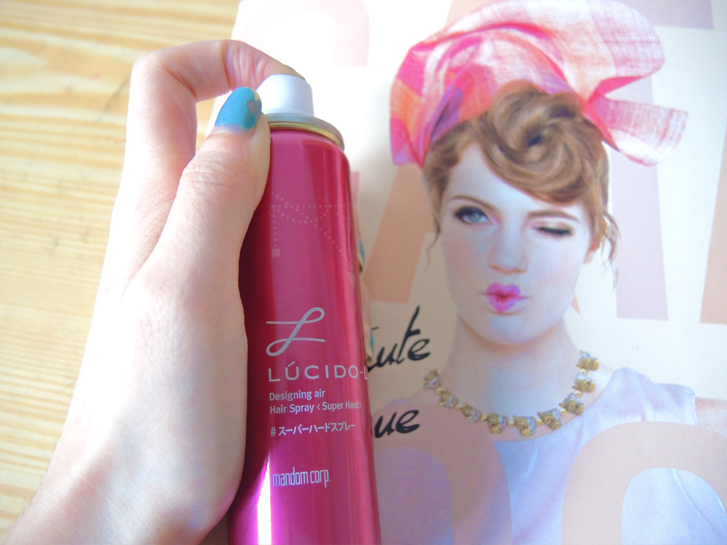 After pulling it back, I gave my hair a generous spritz of the Lucidol-L Designing Hairspray (Super Hold). I would consider the holding power to be very weak. After spraying quite generously, my hair was not at all fixed. The arrangement power was also affected because the spray couldn't hold my hair up. 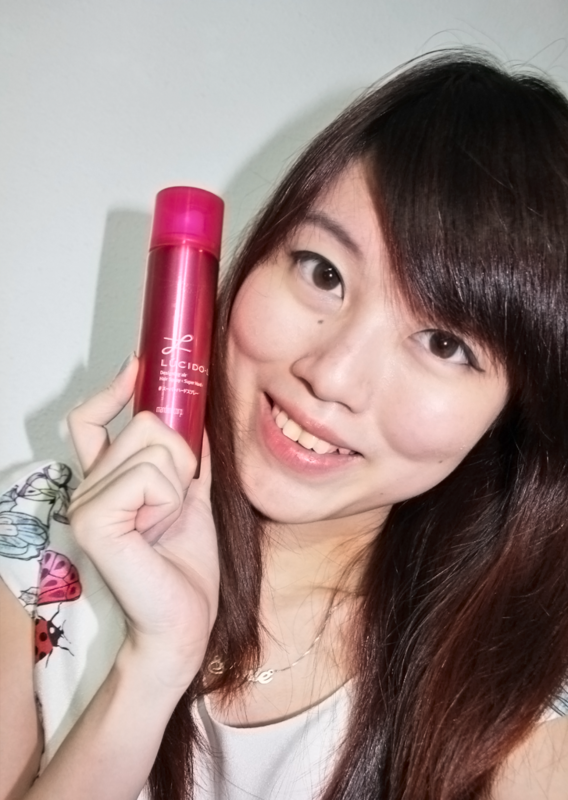 Granted I have pretty thick tresses, my usual Redken hairspray or hair gel does the trick neatly without much fuss. 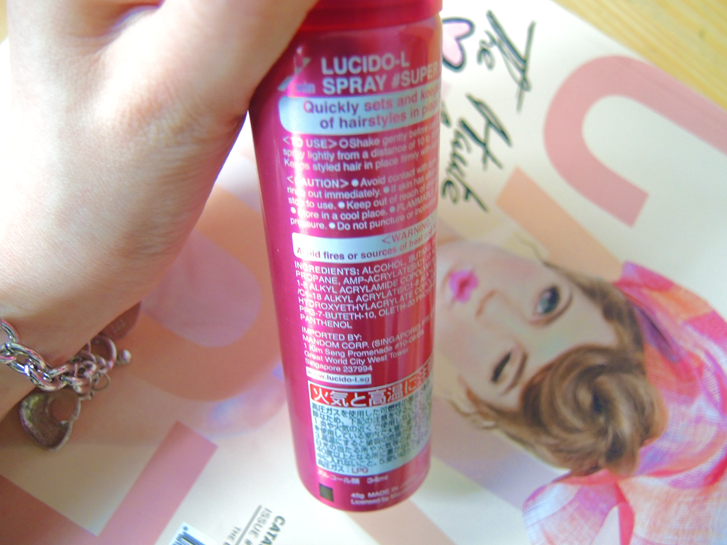 The Lucido-L Designing Hairspray (Super Hold) is good in terms of texture - my hair still remained somewhat soft and natural - it didn't feel like it had anything more than a kiss of hair products. I guess it will be suitable for people who want just a bit of styling and not for actual hair holding purposes.